This database provides consumer health information, i.e. information written for the patient and consumer. With more than 2,500 embargo-free, full-text periodicals, reference books, pamphlets, and hundreds of videos demonstrating medical procedures and live surgeries, Health Reference Center Academic ensures that researchers get current, scholarly, comprehensive answers to health-related questions. This database provides scholarly information on many medical disciplines with a strong emphasis on nursing and allied health. Welcome to the Kirkwood Library Services page for the "Tools for Life" class. Your librarians are here to help you succeed in your research regardless of time and location. Our growing online collections and tutorials mean you can research when and where you want, with as much or as little help as you need. Please don't hesitate to contact a librarian if you need help at any point. 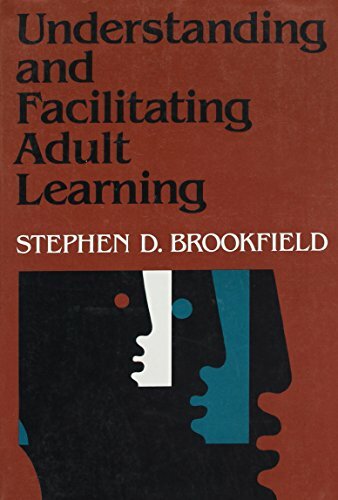 On this page we have resources broadly related to the Rossman Adult Learning Inventory (RALI). You will likely be researching one of four areas of the Inventory: Orientation to Learning, Mental Abilities, Physiological Factors, and Psychological Factors. Information about each area can be found in a variety of places in the scholarly literature in fields such as Education, Psychology, and Sociology, among others. The following curated materials can help you find what you need. We recommend using two databases in particular, Academic OneFile, and PsycArticles, to search for scholarly articles. Try using a combination of terms such as "adult learning" and your subject area, such as "readiness to learn" or "physiological factors." Librarians can help you identify the best subject terms for your search. Contact us by chat, phone, email, or in person in either Cedar Rapids or Iowa City. Links to some relevant eBooks are listed in this guide. eBooks can be accessed from any computer by any Kirkwood student (using your K-number and EagleNet password).However, please note that we have two main portals for ebooks that you may search on your own: EBSCOhost eBooks and the Virtual Reference Library. Kirkwood's ebooks do NOT require any special devices to read - you can read them on your regular computer. Click here for a selection of relevant print books held by Kirkwood Libraries. Print books can be delivered to any county center location upon request. You may also search for other titles in print by accessing the library catalog. If you are using Google Scholar, but can't find an article, please see our video on "Google Scholar #1: Finding full text" to help you see if Kirkwood has access to a given article. We also have a tutorial on "Advanced Web Searching" that you may find useful. Remember other libraries! It may be fastest/easiest to try a library nearest you. You can check out books from other libraries, such as Coe College, Mount Mercy, Cedar Rapids Public Library, Iowa City Public Library, or whatever institutions may be near you. Take an ID as well as your EagleCard with you. Please note that we may not have access to all of the books and articles cited in the RALI - Creating Awareness of Adult Development References page. You may consider using our Interlibrary Loan system to access those specific items. Please don't hesitate to contact a librarian! A guide on how to teach adults. It attempts to unravel the myths of teaching adults, while explaining why it is both a rewarding and a complex task. It explains how to deal with a group of mixed ability; how to manage the conflicts that may arise in a group; and, different teaching methods. This bestselling book will help anyone who is engaged in teaching adults. Whether you are working with groups or individuals, in a formal or informal setting, face-to-face or via distance learning channels, it will help you to develop a relationship with your student learners while increasing your understanding of yourself as a teacher.